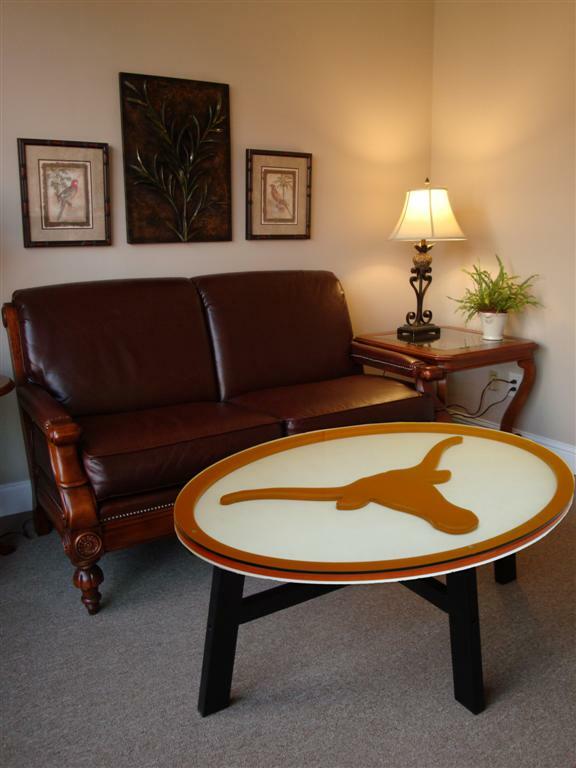 The Texas Longhorns Coffee Table features your favorite university logo (carved and painted) displayed under an oval glass top. The 46" W x 30" L x 19.5" H table is a perfect size for entertaining in any game room, family room or den. The legs and frame supporting the logo top are constructed from solid birch wood.